If you remember we reported that Tango firmware update is available on NaviFirm for Lumia 710 and 800c. 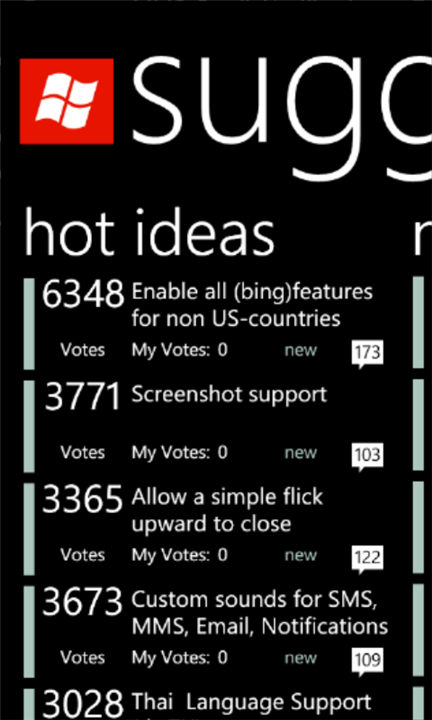 Now the update variants for Lumia 710 seems to be available for many more countries. Check the screenshot below. So the update release seems to be closer now. 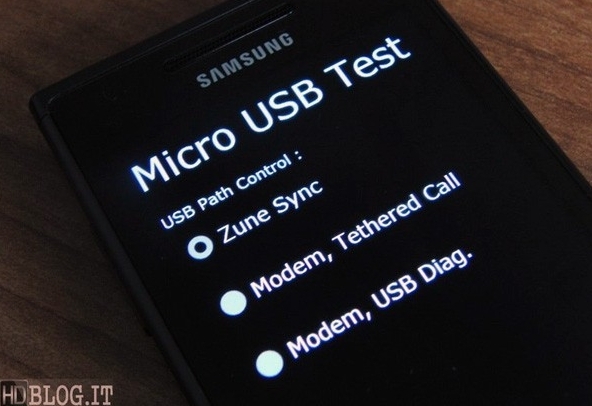 Also in one of very interesting revelations, 1600.3030.8773.12120 update’s brief changelog is out and is bringing much awaited Tethering or internet sharing ability to Lumia 710 and 800C for now. Other changes are Nokia News, Sportstracker and Creative studio apps as standard on the device. So once again we are keeping our fingers crossed and wait for the time when this update is going to hit the devices. But seems it will bring much cheer as “tethering ability” is finally here with other many benefits which were supposed to come with Tango or WP7.5 refresh update. The exciting thing about Windows Phone 7 is that it is relatively young Device/OS. However what it has accomplished in the short amount of time is outstanding. I used to own a HTC desire Rooted with CyanogenMOD 7.1. and even tho it an amazing platform in its own right and it is not short of features, fuctions or tweaks, you had to be a passionate techie to appreciate it. I bought the Nokia Lumia 800 the day after it was launched, and it was love at first sight. I couldn’t fault it (expect the little charge flap…), it did what I want it to do without having to fiddle with settings or tweaks… It just worked. As I got more comfortable with the phone I realized few things could be improved e.g. Filter the People tile, hide people that interest me less than other, no USB storage or Setting backup. 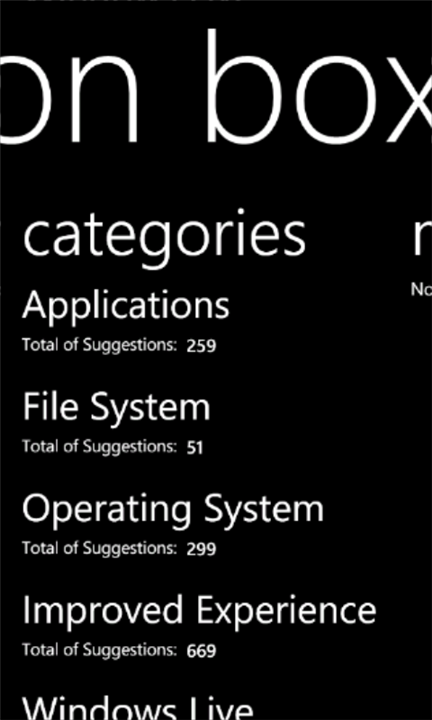 So I started looking for a way to send this feedback to Microsoft, and hence I found Suggestion Box. 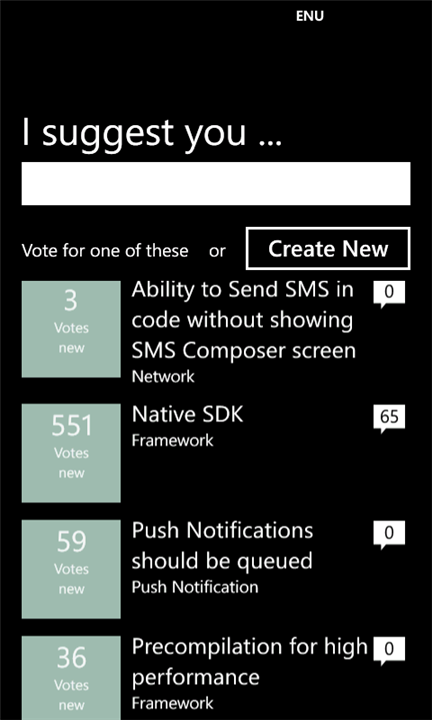 The idea is that each user starts off with 10 votes and they have the option to give up to 3 votes for an idea or an improvement. Once the idea is closed their allocated votes for that idea is put back into the pool to be used somewhere else. This app gives the users a sense of community, their voices are heard, and ultimately Microsoft cares about their opinion, and that’s what we want from any paid service. I’ve been attempting to start blogging for few years, unfortunately after a while I’ll run out of steam and the blog ends up being archived somewhere on my drive. This time however I have found a motive to start & (hopefully) continue blogging. The main topic I’ll be posting about will be Windows Phone 7 (WP7) development, and hopefully will share the things I learn as I venture down this path.